Alexa Chung attends the 31st FN Achievement Awards at IAC Headquarters on November 28, 2017 in New York City. Alexa Chung wore her hair in shoulder-length waves with center-parted bangs at the 2017 FN Achievement Awards. 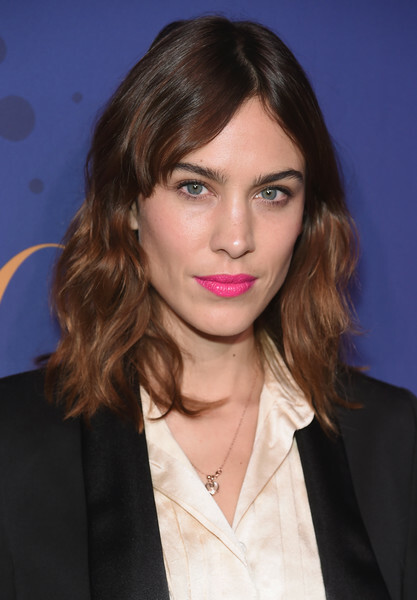 Alexa Chung went for an eye-popping beauty look with a swipe of hot-pink lipstick.